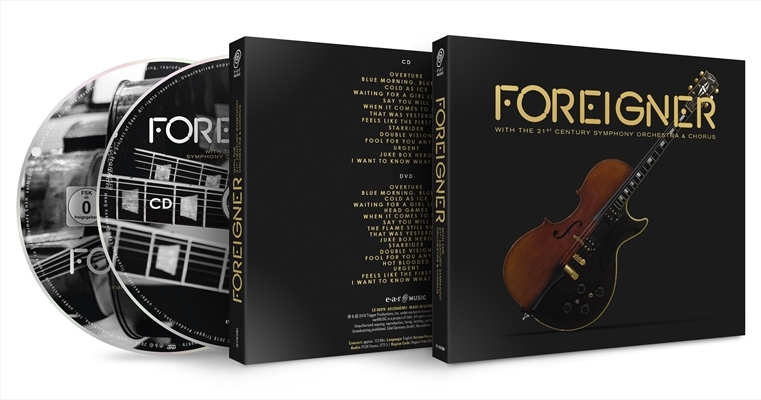 FOREIGNER - WITH THE 21ST CENTURY SYMPHONY ORCHESTRA & CHORUS (CD+DVD BOX) | Online Shop | Wizard LTD. Album: "WITH THE 21ST CENTURY SYMPHONY ORCHESTRA & CHORUS (CD+DVD BOX)"
This magnificent concert was recorded at KKL Luzern, Switzerland on May 20th and 21st in 2017 and thus became the very first Foreigner album, recorded with orchestra and choir. Together with the 21st Century Orchestra and Chorus, the performance showcases some of rock n’ roll’s most enduring anthems and countless fan favorites. Featuring original new arrangements and instrumentations, Foreigner’s signature songs can be enjoyed from a completely new perspective and with fantastic sound quality.